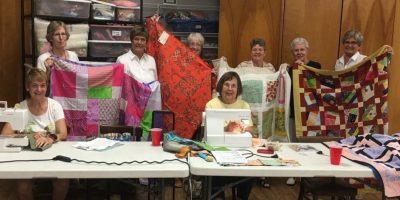 The Guild is a ladies’ group that meets seasonally from October through December, on Tuesday mornings at 9:30 a.m. in the church Fellowship Hall. The typical meeting consists of a devotional and prayer time, a time for craft work in preparation for our annual Holly and Ivy Bazaar in December, and lots of sharing and fellowship. The proceeds from the Bazaar are used to fund special local benevolent and foreign mission needs that are presented to us from our church or from related individuals, and are distributed during the course of the next year. Working and praying together to help others is fun! For more information, contact Priscilla Ather at pather@centurylink.net.